I’ve tried to track down the source of the quote “Be vigilant; guard your mind against negative thoughts” which circulates on the internet, but was not able to. Do you have any clue? There’s nothing in here (or in the original Pali) about “negative thoughts,” so Eknath’s translation isn’t very literal. It’s true that in modern parlance it’s negative thoughts (and emotions) that we have to guard against, but since this isn’t terminology that the Buddha would have used I don’t think it’s appropriate to use it in a translation. Eknath also misses out the element of “delighting” (or being devoted to) heedfulness, which is another distortion introduced into his translation. It does seem a bit sloppy. Incidentally, the “heedfulness” or “vigilance” being encouraged here is “appamāda,” which the PTS Pali dictionary gives as “thoughtfulness, carefulness, conscientiousness, watchfulness, vigilance, earnestness, zeal.” Appamāda is the opposite of pamāda, which means intoxication or heedlessness. Appamāda is similar to mindfulness (sati), but where sati suggests lucid and receptive awareness, appamāda suggests both that and an active quality of protecting the mind. 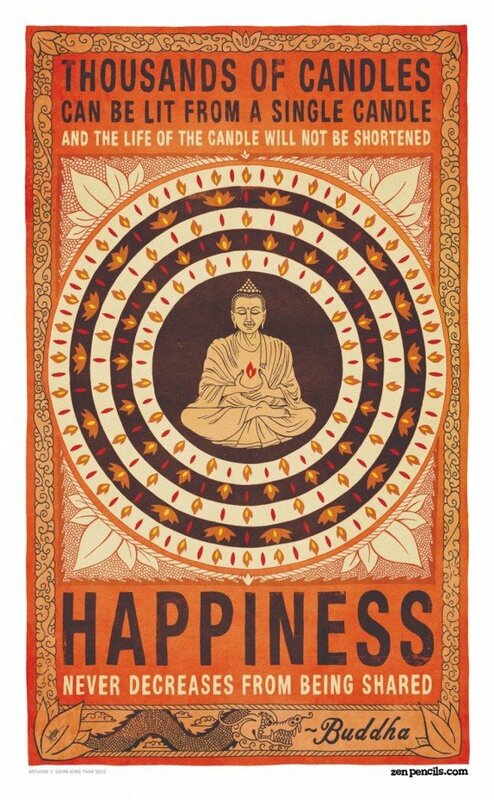 In the Appamāda Sutta, the Buddha said “Heedfulness is the one quality that keeps both kinds of benefit secure — benefits in this life & benefits in lives to come.” In terms of the Eightfold Path, it seems to combine both Samma Sati (Right Mindfulness) and Sammā Vāyāma (Right Effort), and arguably Sammā Diṭṭhi (Right View) as well. The Buddha’s last words were an exhortation to practice appamāda, so he must indeed have considered it to be a crucial spiritual practice or faculty. Enduring patience is the highest austerity. “Nibbana is supreme,” say the Buddhas. nor a true renunciate who oppresses others. Thematically, at least, this verse concerns patience and victory. Hatred is never appeased by hatred in this world. By non-hatred alone is hatred appeased. Patient endurance is the true victory. The last two lines pair patience and victory, and the last line is close enough to “it is to the one who endures that the final victory comes” that I think it’s acceptable as a variant translation. 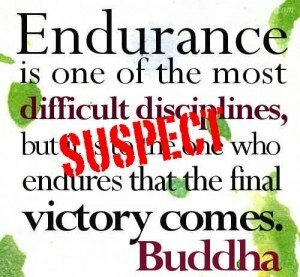 So both parts of the quote have close parallels in the Pali canon, with “Endurance is one of the most difficult disciplines” corresponding to “Enduring patience is the highest austerity” and “it is to the one who endures that the final victory comes” corresponding to “patient endurance is the true victory.” The variation in wording isn’t too surprising given that the texts have been translated from an Indian language into Chinese or Japanese, and then back into English. So this quote, taken as a whole, is in a kind of gray area. The parts are more or less genuine, but the seem to have been cobbled together, which makes the quote as a whole suspect (or fake). Where did the cobbling take place? The full quote is from a Japanese book called Teaching of Buddha, which is the Buddhist equivalent of the Gideon Bible, in that it’s found in hotel bedrooms throughout the world. But it differs from the Gideon Bible in that it’s not a straightforward presentation of scripture. There are, for example, verses like this one, which appear to be a combination of canonical passages and commentary. There are also some parts of Teaching of Buddha that are pure commentary — essays on Buddhism, rather than Buddhist scripture — but in some cases people have been misled by the book’s title into thinking that the commentary is scripture. It’s possible that in some Far Eastern scripture, these two separate sayings were put together. Sometimes when the Indian texts were translated into Chinese, for example, there would be some rewriting and rearranging. And my position on accepted scripture is that it’s “genuine,” so if this quote does exist in a Chinese version of a sutra then it would be genuine. At the moment it remains suspect. This one struck me as suspicious, mainly because of the “no one can and no one may,” which doesn’t strike me as the kind of language the Buddha used. Actually, this turns out to be an example of a translation that is so liberal that the resemblance to the original becomes tenuous. You can see a basic similarity, but “no one can and no one may” has been added to flesh out the poetry. Mostly this quote is fine. Yes, we’re responsible for our own actions. 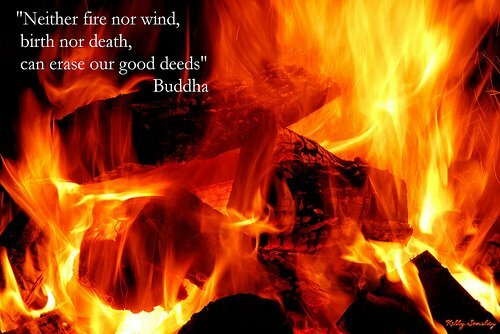 The Buddha can’t save us. We have to save ourselves. But “no one may”? That suggests that some external agency forbids others from saving us, which is not a Buddhist notion. “No one can” would have worked well as a translation on its own, but wouldn’t of course fit the rhyming scheme. The late 19th century attempt to render the Buddha’s teaching in verse was a noble but of course an unsustainable one. In this case we’ve ended up with a note being injected (“no one may”) which simply doesn’t ring true. PS. I’m aware that Pure Land Buddhism teaches that enlightenment is only possible through the grace of Amida Buddha, but I think it’s good to acknowledge that this approach contradicts what the Buddha seems to have taught — which is that the Buddhas only point the way, and that we must save ourselves. Posted on June 19, 2012 March 5, 2015 Categories Fakeish Buddha Quotes11 Comments on “No one saves us but ourselves. No one can and no one may. We ourselves must walk the path.